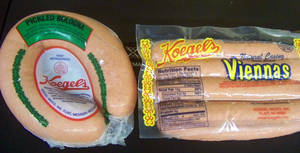 Where else in Central Florida can you find Koegel brand Pickled Bologna and Koegel brand Vienna Hot Dogs?! 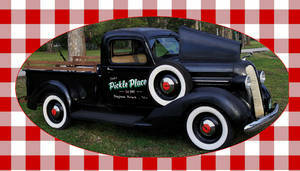 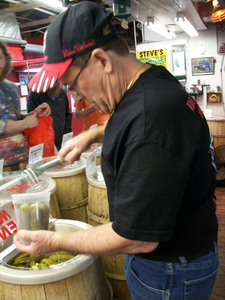 Here at Steve’s Pickle Place. 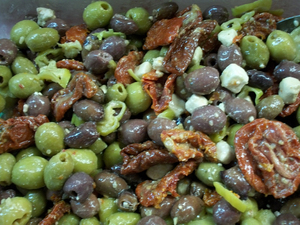 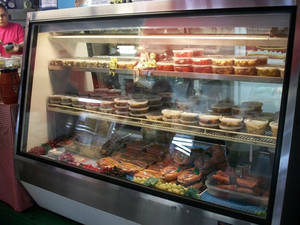 We also have a host of imported Greek Olives and other specialty products. 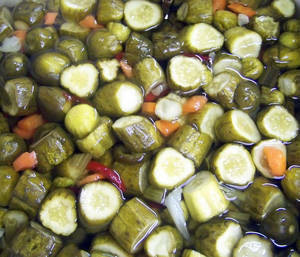 AND-PICKLES, PICKLES, PICKLES! 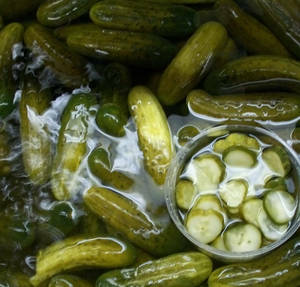 New York Half Sours and Full Sours, Pickled Tomatoes,Southwest Sweeties, Pucker Sours, Ginger Snaps, Hot Garlic Dill, Horse Bites, Dutchs’ Pickle, Hots, Sweet Gar-leek, Crunchy Dill, Garlic Dill and Jumbo Kosher Dill on a Stick. Stop by our booth for Fun and Memories. 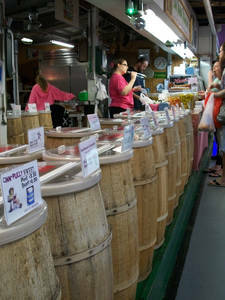 Where we always offer free samples so you can taste the difference.